This is something we have all had to face from time to time–a car lockout. This could happen because you rushed out of your vehicle, leaving the car keys in the ignition, or you probably left them on a seat. They could have fallen out of your handbag or pocket. The key broke in the ignition. Whatever the reason you have been locked out of your car, you are surely looking for a good company to help you. Car Lockout Texas is here 24/7. All you need to do is to phone us. We and our network of independently owned and licensed affiliates will help you get back into your vehicle and get you mobile again. Our car lockout services in Dallas company is able to deal with all types of locks for both commercial and domestic vehicles. We are able to gain access to an extensive range of different automobiles, which include current and older models. The same goes for all US brands, as well as for European, Japanese, and Korean makes. We are fully up-to-date with the current vehicle security measures. Our car lockout will have a computer ready, plus all the technical equipment, along with the training needed to deal with a lockout in a modern car. A transponder key with a microchip can be reprogrammed on site. You will then get a replacement key. All the diagnostic equipment is brought to the site. This also applies to broken keys in the ignition. There will be no external or internal damage to your vehicle either. Key cutting includes the side winder cut, laser cut, and mechanically cut keys. As such, even if you have an older vehicle, a key can be cut. Car Lockout Texas is here 24/7. All you need to do is to phone us. We will help you get back into your vehicle and get you mobile again. Most modern cars now use sophisticated electronic locking devices; therefore, an immobilizer key can also be replaced. This also applies to the replacement and resetting of the microchip in your key fob. In addition, you can have a new set of duplicate car keys. Our Car Lockout Dallas company aims to get to your car within a fast response time. There is no need for your vehicle to be towed to a garage, as we can do all the work on the site. Our Lockout Dallas company also has a range of other services available. You may come to a halt because you have run out of gas. You can call us and state that you might need either unleaded gas or diesel. We can provide that. We can deal with this on the spot. The next most common reason for not starting is a flat battery. Again, the roadside technician can deal with this. You may need a jump start or a battery replacement. Another regular problem for all motorists is flat or damaged tires. This may not be your fault at all, as you may have hit something on the road. Again, our car lockout Dallas can replace the tire with your spare. If there are major problems with your tires, such as if there is too much wear and damage, then these, too, can be replaced on the spot. Just phone in and state the type of tires you use, and these will be replaced. It may be the case that you have been involved in a car accident or there is a major mechanical problem with the crankshaft or the brakes. In this case, you will need to be towed to a garage where the vehicle can be repaired. Our car Lockout Texas can provide a towing service. The technicians who provide roadside assistance are fully qualified for this job. There are a number of options available. This includes towing for motor cycles, light duty towing, a flatbed service, and emergency towing. The same thing happens when you meet a vehicular accident. It becomes total wreck that driving it is not possible. It can also be that you can still drive the car – but don’t ever think about it because you have no idea about its damages. The lockout is also one reason you need to have your vehicle towed. 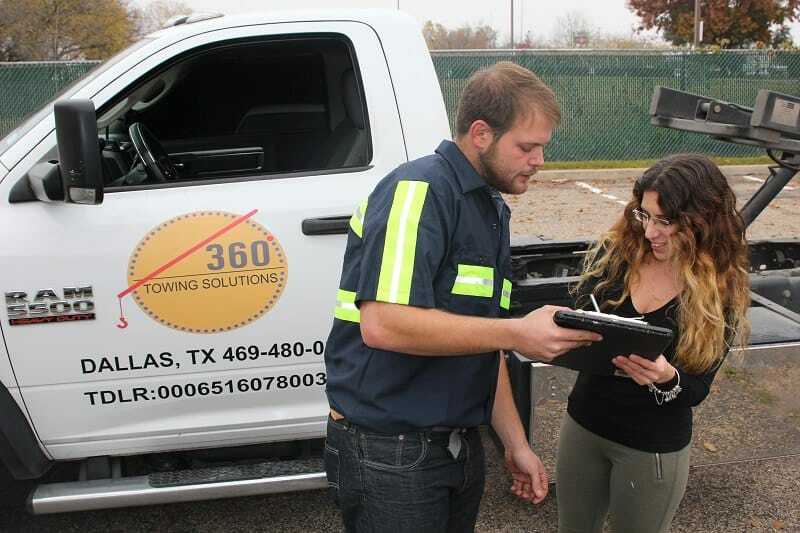 Call Emergency Towing Dallas to ensure the safety of your car. Seeking the help of a legitimate company can also guarantee your protection.